YOU WILL NOT BE DISAPPOINTED IN THE CONDITION OF THIS HIGH-QUALITY YACHT!WALL & CEILING FABRICS UPDATED/RETROFITTEDVERY DESIRABLE AND RELIABLE 3406E 800HP CATERPILLARS with only 1415 Hours 9/2018Updated Electronics with RAYMARINE E125 & E127 with HD Radar, and new KVH M5 SAT TV.Maintenance Records and Updates Costs available for inspectionMeticulous owner continuously upgrades & maintains this vessel, needs nothing. 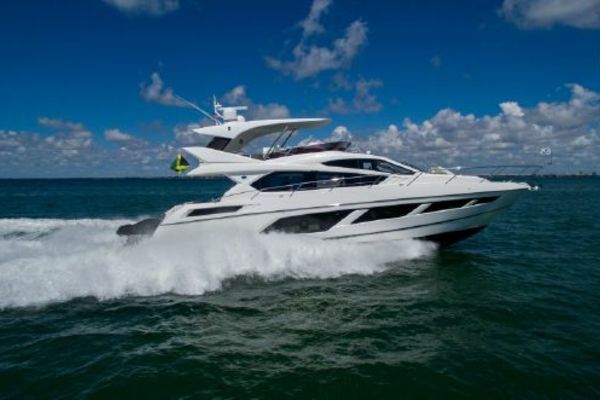 United Yacht Sales New Jersey would love to guide you through a personal showing of this 58' Fairline Squadron 58 2002. 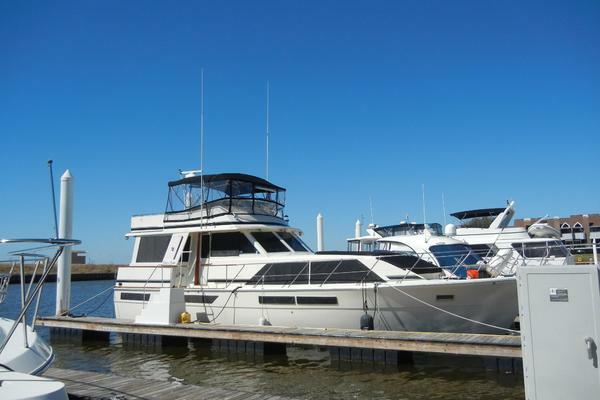 This yacht for sale is located in East Hampton United States and priced at $549,000. For a showing please contact us by filling out the form on this page and we will get back to you shortly! Main DeckStainless steel through hull anchor system, Delta Anchor, 25 fathoms calibrated chain, Electric anchor winch, Twin Stainless steel bow & stern cleats, two pairs of stainless steel spring cleats, Stainless steel cleat and grab rail on each aft wing, Stainless steel pulpit and side deck rails with solid second rail and fender baskets, Full set of IMCO navigation lights, Moulded slip resistant deck surface, Sunbathing area on foredeck with cushions.Aft DeckTeak stairway to flybridge, Teak laid cockpit floor, Bench seating with access to large aft storage area, Twin transom gates to extra-large teak laid bathing platform, Hot & cold transom shower, Twin storage lockers, Access hatch to stowage hold, Fender storage, Twin warping drums, White cockpit overhead lights.